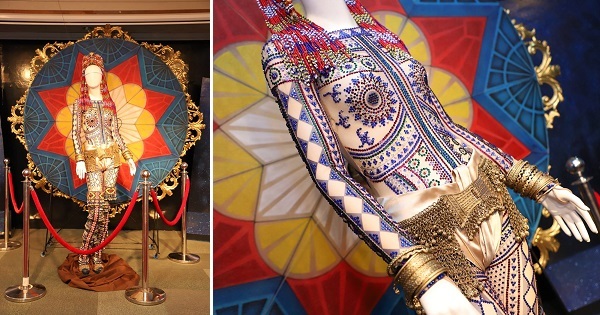 MANILA, Philippines – When Catriona Gray dragged around a huge parol (Christmas lantern) on her back while wearing what looks like a pantsuit with beads during the National Costume competition for the Miss Universe, a lot of Filipinos were amazed as she represented the Philippines in all forms. The Miss Universe 2018 bannered a lot about the Philippine culture and history in her artistic costume. 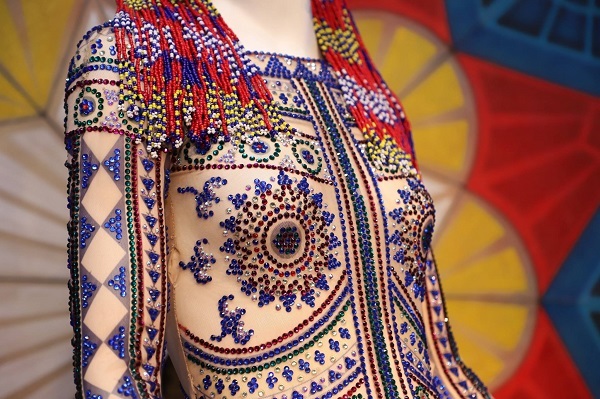 It pays tribute to the three major islands of the country: a giant parol represents Luzon, a Pintados-inspired body suit represents Visayas and the beaded accessories and shoes for Mindanao. The National Historical Commission of the Philippines (NHCP) showcased on Friday the costume as part of the media launch of the Philippine Quincentennial Commemorations, which celebrates the 500th anniversary of the Victory in Mactan. Gray's national costume will be on display indefinitely at NHCP in Manila. In addition, the agency advised that it will be displayed for public viewing on December 30 (Sunday), Rizal Day. 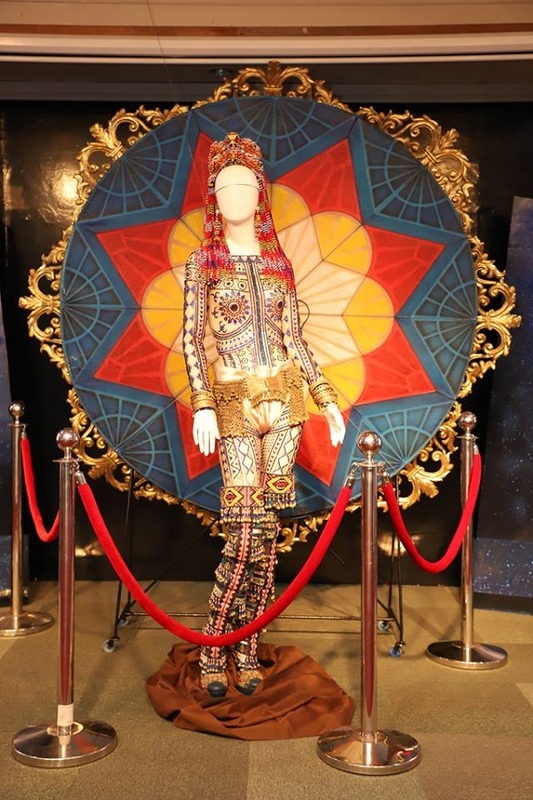 The National Quincentennial Committee of Republic of the Philippines also shared photos of Gray’s national costume, with detailed explanations as to the aspects behind the pieces she wore for the competition. On 11 December 2018, the National Quincentennial Committee (NQC) contacted Catriona Gray after the latter's national costume went viral on 10 December 2018. That was six days before Gray was crowned Miss Universe and ten days before the Philippine Government officially launched on 21 December 2018 the Philippine Quincentennial Commemorations of the Victory at Mactan and related events in 2021. 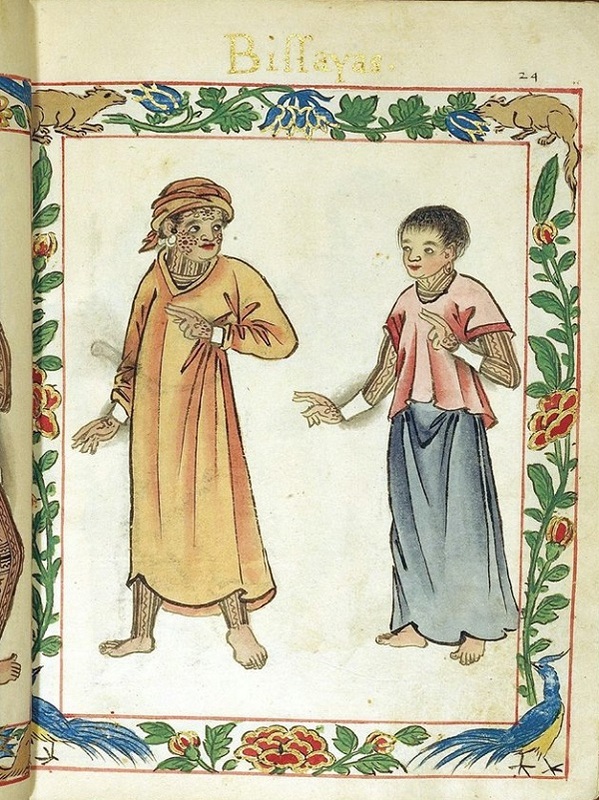 The costume designed by Jearson Demavivas was inspired by the batik (tattoo) motifs of the 16th-century Visayan warriors documented in the Boxer Codex (ca. 1590). For NQC, Demavivas' design is educational as the country begins the anticipation on the 500 years of Victory of Mactan. 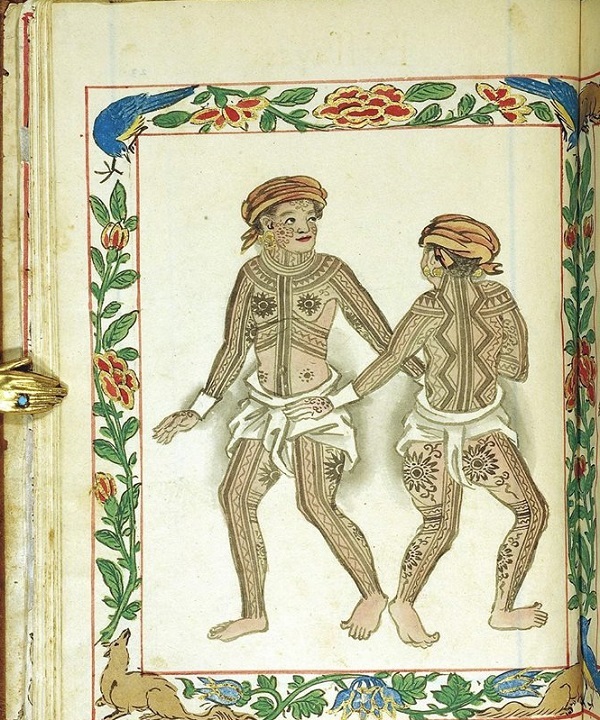 Antonio Pigafetta, the young chronicler of the Magellan-Elcano expedition that reached the Visayas in 1521, described the Visayans as tattooed people. 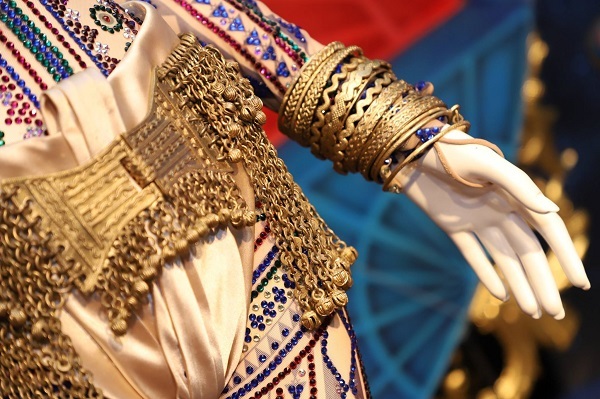 The tattoo motifs served as decorations of a warrior who displayed courage and emerged victorious in battles. Historian Vicente Villan said that the batik also served as protection of the "dungan" (individual spirit that keeps "kaladua" [soul] healthy and guards it from evil elements) in ancient Visayan society. When Christianity became a dominant religion in the Visayas, batik was discouraged, and its spiritual use was transformed to sacred articles like rosary, escapular and anting-anting (amulets); while the military use of batik became medals. 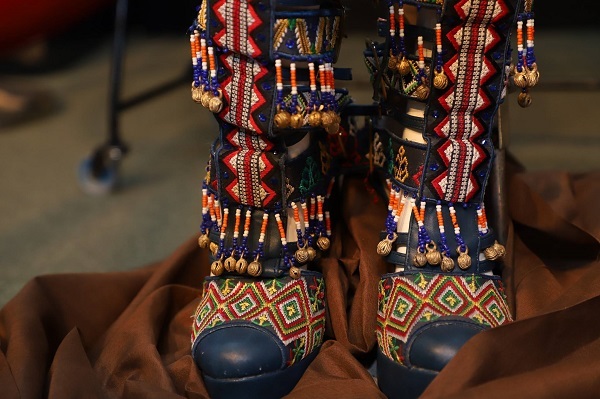 Also forms part of the costume are the T'boli accessories designed as well by Demavivas, and the knee-high boots featuring the Mindanaoan textile patterns designed by Jojo Bragais with the assistance of Ardel Presentacion. The Pampanga lantern reflective of the colors of the Philippine national flag was also designed by Demavivas and executed by the lantern maker from City of San Fernando, Pampanga, Eric B. Quiwa. Gray's team is grateful as well to Rhyann Andrade for the LED features of the Pampanga lantern. Pukpuk (silver metal craft) folk artist Tomas Ramirez did the borders inspired by the details of the baroque churches--a craft introduced to Gray's team by Mak Tumang, also a noted Kapampangan fashion designer. The Botong-style mural of select vignettes of Philippine History is a collaboration of artists Kim Christine Fababair, Marina Ceriola, and Renee Avila. Carlos Buendia Jr, Gray's coach, and History professor Xiao Chua, guided the historical and cultural features of the ensemble costume. While Justin Aliman curated the overall style of Gray's costume. The NQC and NHCP acknowledge the support the Philippine Airlines extended in the return to Manila of the costume, especially the Philippine history-inspired Pampanga lantern--free of charge. Same acknowledgment is accorded to the Philippine Embassy in Bangkok for collecting the ensemble from Gray herself days before the coronation. Photo by Jovan Soriano of the NHCP.